The Scorpions latest release, “MTV Unplugged - Scorpions Live In Athens”, has been certified gold status for sales in the band’s native Germany. In September 2013, the German rockers performed three MTV Unplugged concerts in Athens, Greece at the city’s Lycabettus Theatre. 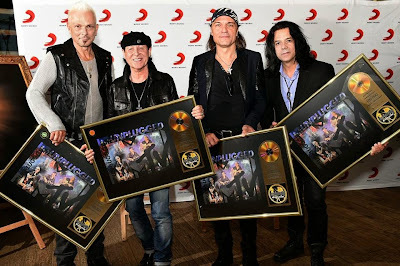 The Scorpions recently revealed that they will celebrate their 50th anniversary in 2015 with a new album and tour.